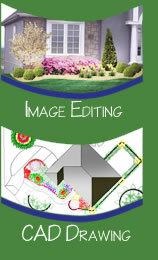 Clean Sweep Landscape Design & Management .:Services:. We will work closely with your family as we turn the ordinary into the spectacular, presenting your new design plan in beautifully, rendered drawings along with detailed material specification lists. The time has come for you to finally have the landscape you have always dreamed of. No more staring wistfully out your windows, envisioning gorgeous landscaping. But how do you optimize the space you have? How do you know where to put that barbecue? What kind of plants should you get and where should they be placed? Now you can have the answers to all these questions before you’re committed to construction. Clean Sweep Landscape will assess your needs. First, discuss the elements you want to include such as: ponds, fire pits, fountains, gardens, play areas, decks, lighting, patio covers, or any other enhancement you would like. At this point, it is important to consider what you will be using the space for. If you entertain a lot in your yard, it will have to be designed differently than if you just want a gorgeous landscape to enjoy from indoors. Likewise, if you have children and pets, the environment will have to be designed with this in mind. Once your wants have been established, your needs can be addressed. Is space an issue? Can your neighbors see into your yard? Do you have excessive shade in one area that would prevent a garden? Where would the most convenient place be for an outdoor kitchen? Throughout the process, Clean Sweep will plan your yard to make it the most efficient, convenient, and beautiful plan possible.